Oleg emailed us to share an app he developed called Magic Photos. It reminds me of another app I saw on another platform, one I found really cool so I’m very pleased to see it appear on Symbian. Selective colour filter – keep the photo in black and white apart from selected portions of which you can choose the colour. Narrow depth of field/Bokeh effect. Make any part of the picture out of focus and then select the parts you want to be in focus. If it works as advertised then I’d say it’s very worth the £1.50 (or equivalent) at Ovi (Nokia) Store. MagicPhotos lets you quickly and easily give photos a dramatic look by applying different effects while keeping your chosen details untouched. This draws the viewer’s attention to the individual image details, creating striking images. With its intuitive and responsive user interface, MagicPhotos is super easy and fun to use. You simply use your finger as a brush to apply effects to certain regions of your image or bring back original image. Image zooming will help you to work on fine details. 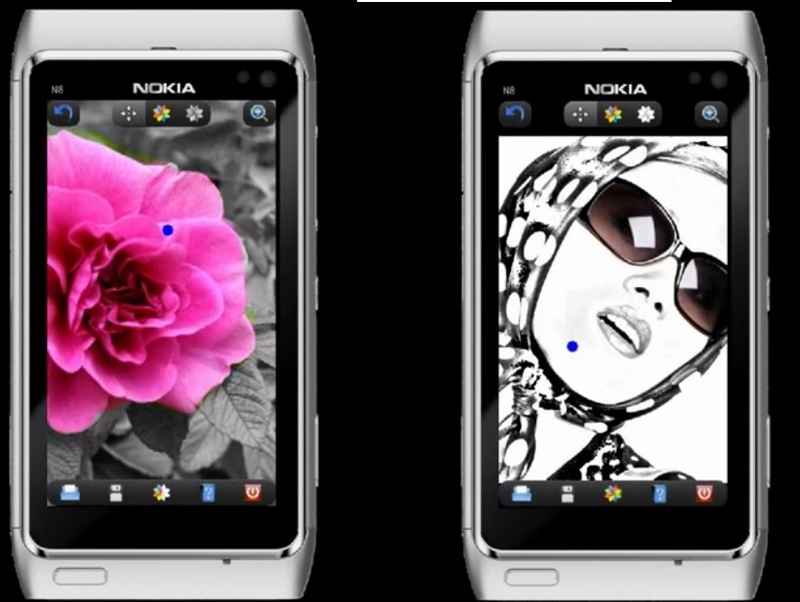 « More Nokia N9 photo galleries.